This smart and stylish E100 Round handrinse basin is suitable for use in domestic as well as commercial applications and is the ideal choice for those on a budget. Ideal for small bathrooms, it can be either wall mounted or sit on a full pedestal (sold separately). 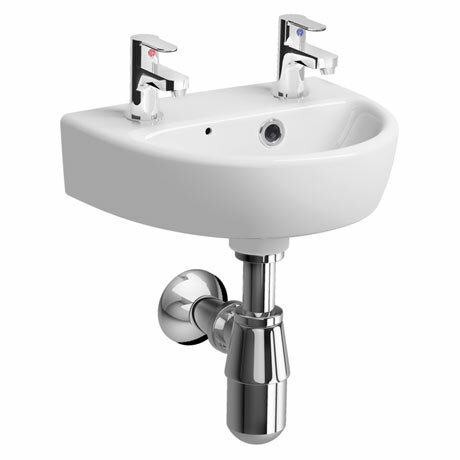 Manufactured from high quality vitreous china, the basin features two tap holes and an off centre integrated overflow. Dimensions: (W)360 x (D)290 x (H)100mm approx.